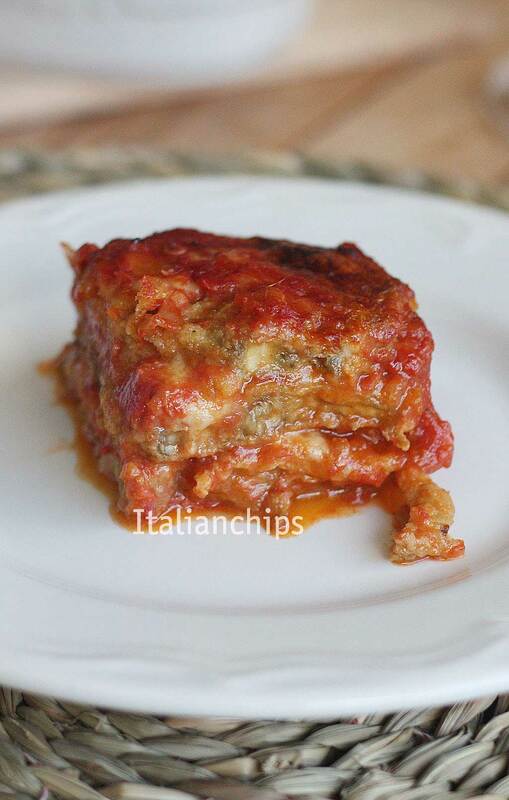 I have always tried different baked eggplant parmesan recipes as I always try not to fry. I have found a good one using grilled or baked purple eggplants, but this recipe here adds that taste of greed that grilled things usually don’t have 😉 It takes a little bit more time than the grilled ones, but really a bit. It looks like an obvious recipe…but I’d never tried or saw it before. I found it in Delicious Declassified blog, from the beautiful Tara. I tried it quite immediately, so curious I was regarding a quite obvious recipe…that I hadn’t think about before. I used different types of eggplants (the ones I had home). You just have to coat each slice in eggs and breadcrumbs and bake them for 20 to 30 minutes. 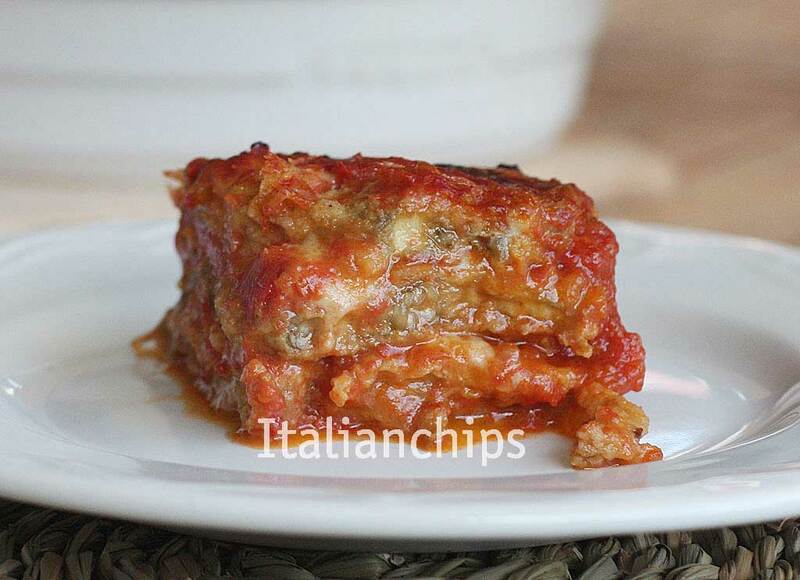 After that, just prepare it as a “common” eggplant parmesan with layers of eggplants, mozzarella cheese, grated Parmesan cheese (I added a bit of grated Pecorino too) and tomato sauce. Cover an oven pan with parchment paper. Cut the mozzarella in small cubes/pieces. Wash and peel the eggplants. Cut them in thin slices of 0.5cm/0.2in. Beat the eggs slightly and coat the eggplant slices into the eggs and then in the breadcrumbs. Place the slices on the pan covered with parchment paper trying to overlay them the less as possible (better not to overlay them at all). Spray with an oil sprayer. Bake for 15 min and then turn them upside down. Bake for 15 minutes more. In an oven resistant pan, put a couple of Tbsp of tomato sauce. 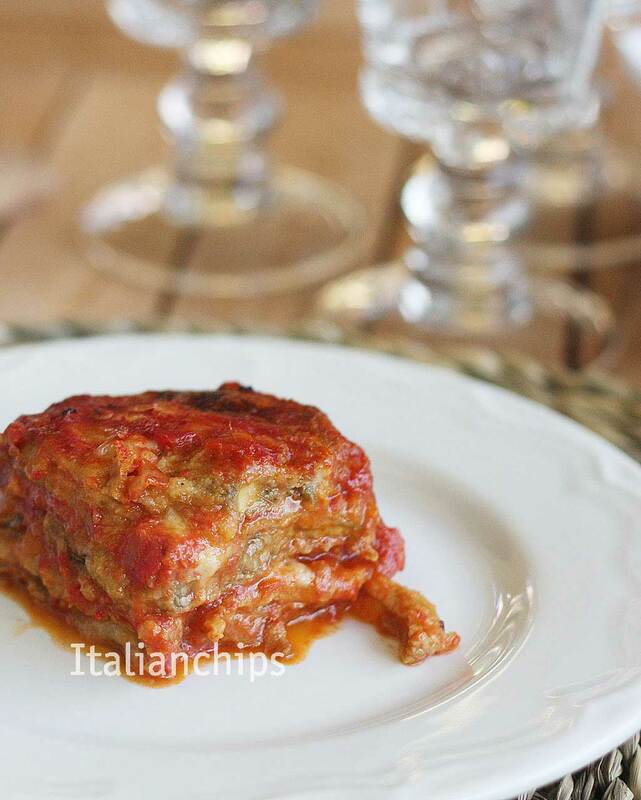 Create a 1st layer of eggplant slices. Go ahead repeating these layers until the top, finishing with the tomato sauce (you can be generous because the breadcrumbs will absorb part of it). 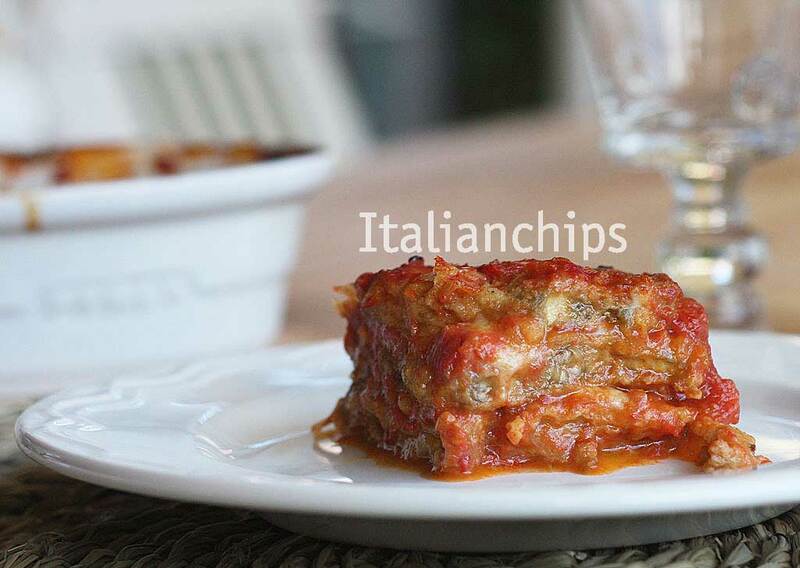 Sprinkle some grated cheese and bake for about 20 to 30 min (until crispy on top). Let it rest for 15 min before cutting and serving.